Somebody claiming to represent George Wilson (NFL) has sent us a cease and desist draft threatening that George Wilson will take legal action if comments were not deleted in 48 hours. 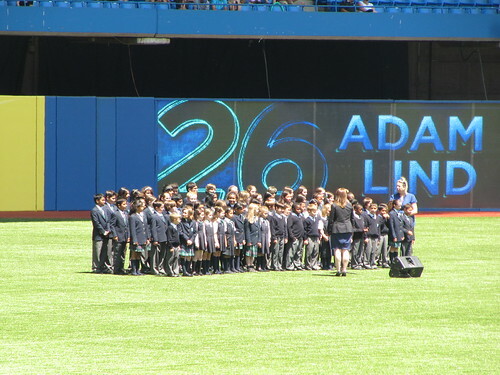 A week ago, two of my kids sang the national anthems at the Blue Jays games. It was the 2nd time that they done this. Pic and vids follow. Excuse the shaky video. The camera was on super zoom. Fred Reid of the Blue Bombers has informed us that if his named isn't removed from the website, that he will be taking legal action against us. Today, we added all the football-soccer players for the FIFA World Cup.